Brief Description: HOURS 703. 26HP KUBOTA DIESEL ENGINE. 3WD. HST. FLOATING HEADS. 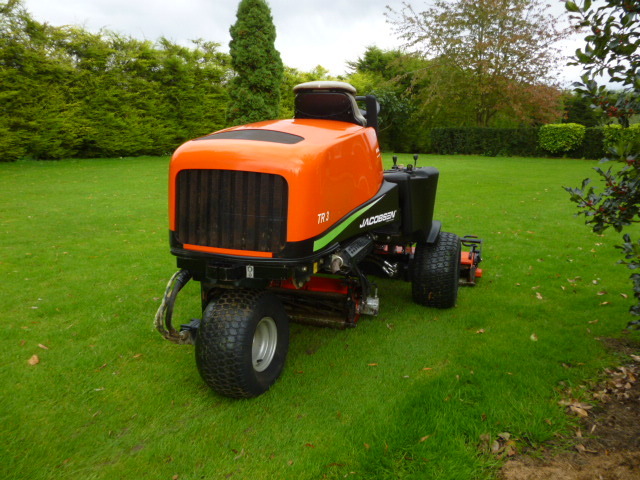 GREAT MOWER FOR CRICKET, GOLF, FOOTBALL OR LARGE GARDEN. 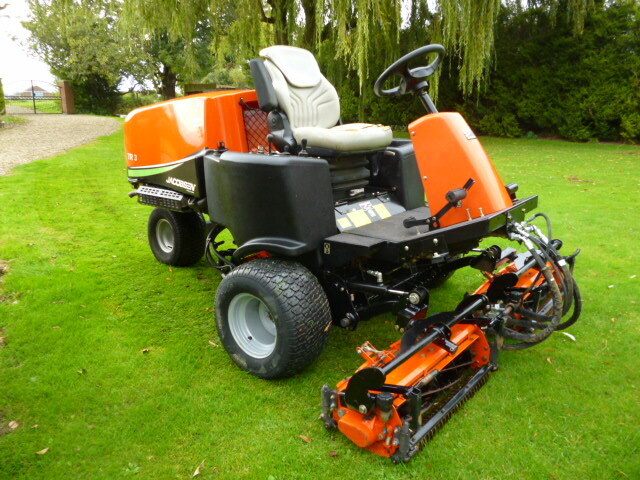 More Information: The TR-3 is a world class climbing triplex cylinder mower. 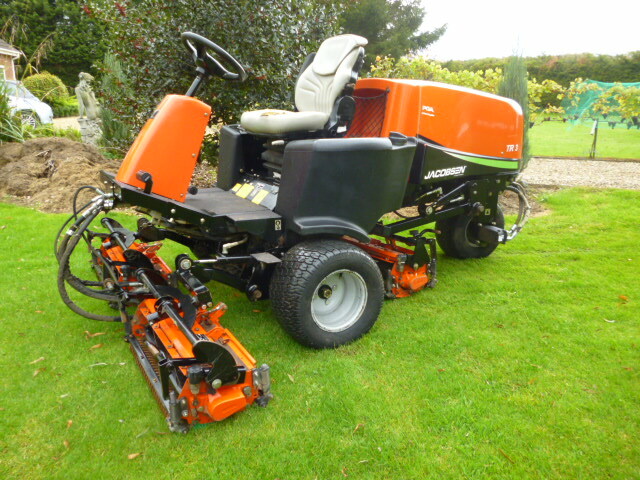 It hugs contours with ease and leaves a Jacobsen quality of cut on even the steepest of hills. On-demand traction control and reliable braking on uneven terrain allow operators to mow with confidence. Three-Wheel Drive - Parallel-series traction system maintains traction to two wheels preventing slippage on all areas of your course. Oil-Immersed Maintenance Free Parking Brakes - Reliable brakes delivering safe braking on even the steepest slopes. 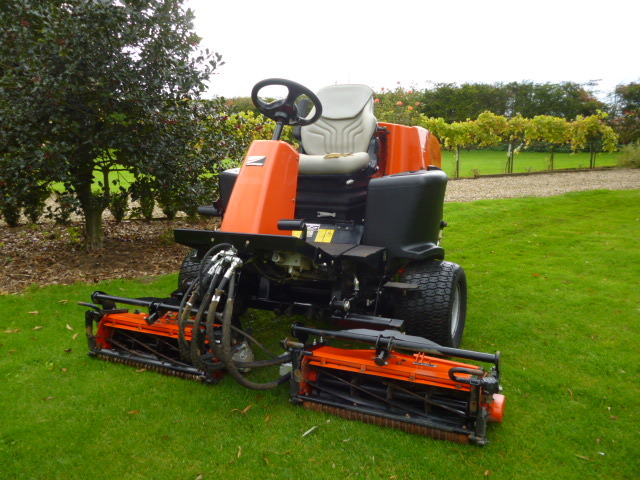 26 hp Kubota® Diesel Engine - Power to handle the most difficult cutting conditions. 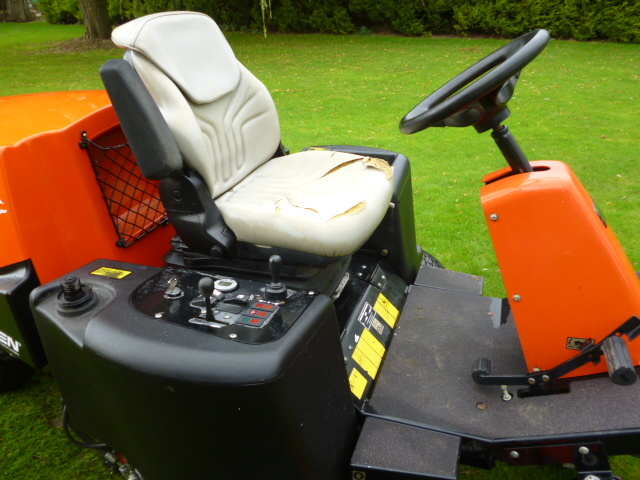 It provides smooth acceleration and is quiet to operate. Proven Tri-King® reels - Heavy-duty cylinders/reels deliver exceptional quality of cut year after year. Unique All-Out-Front Design - The driver has an unobstructed view of the cutting path. Plus, you don�ft have to sit on a hot engine all day long.